Siborg has begun offering the Smart Tweezers ST5S-BT in the LCR-Reader Store! This new model offers all the same features and functions found on the popular Smart Tweezers ST-5S model, but with the added benefit of being able to record all measurement values remotely via Bluetooth. 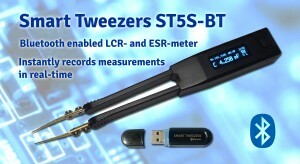 Using the USB receiver stick, the Smart Tweezers ST5S-BT opens a virtual serial port that can be received by any communication software such as NI LabView® or Tera Term free software. 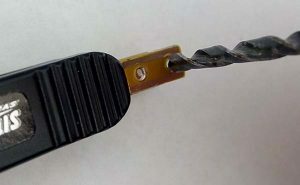 Currently, the USB stick is required for use with computers and NI LabView®; Android devices are able to receive data without. 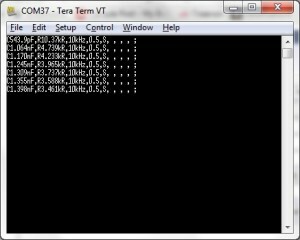 Eventually there will be dedicated Apps for iOS, Windows and Android. 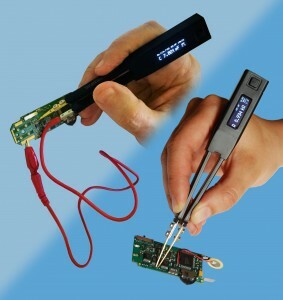 This string is explained as: main impedance value and type, secondary value and type, test frequency, test signal level, measurement mode, and 4 reserved values. The photo to the left shows Terra Term receiving data from ST5S-BT. 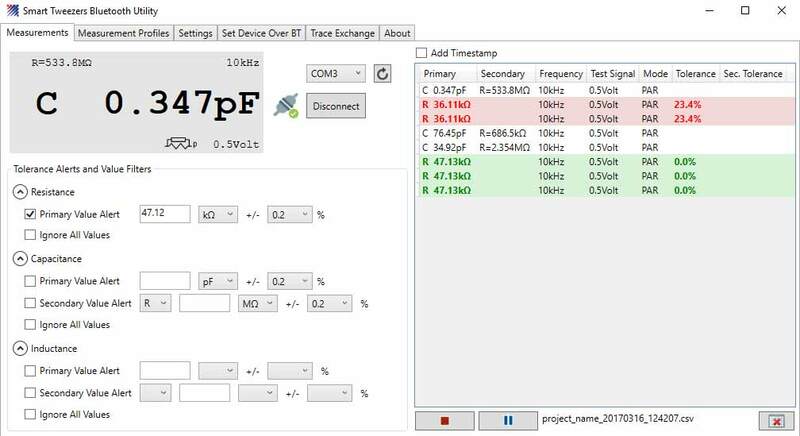 Depending on the software used, the measurement values can be saved to a file, or in cases like NI LabView®, the data can be saved to a database to be processed later. Based on the popular ST-5S model, the ST5S-BT offers the same features and 0.2% basic accuracy with the added bonus of Bluetooth. Siborg is offering 2 different packages in the LCR-Reader Store for Smart Tweezers ST5S-BT; one with the USB receiver stick and one without. 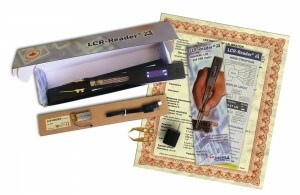 Please note when purchasing: the receiver stick is required for use with computers and some software.